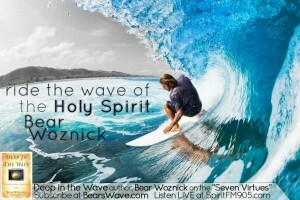 We recently were able to interview Bear Woznick the author of Deep in the Wave: A Surfing Guide to the Soul. 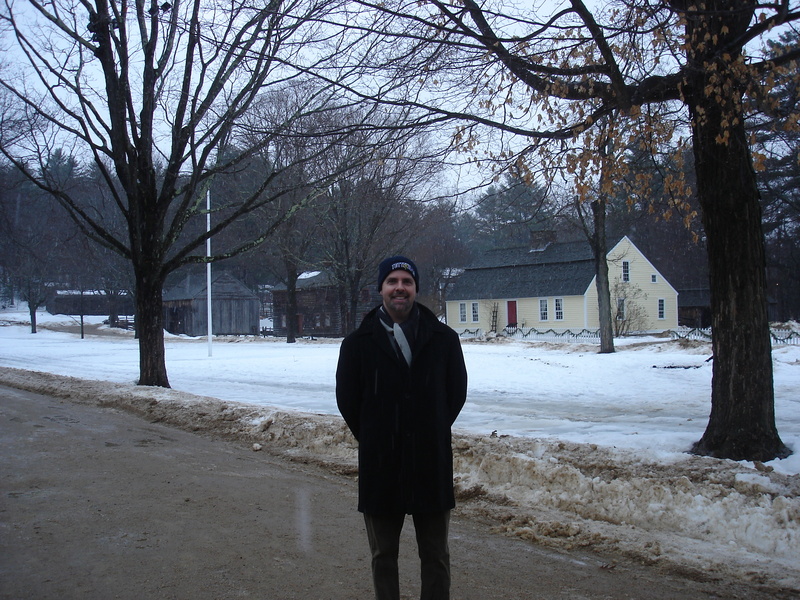 Bear Woznick is quite an interesting individual and we were honored to be able to feature this interview on My Catholic Blog for all of you to check out. Bear holds multiple Master World Tandem surfing titles, co-founded the World Tandem Competition Tour, is a private pilot, plays the ukulele, has a black belt, rides a Harley, and is a novitiate oblate of the Benedictine Monastery of Oahu. 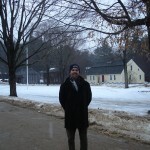 After checking out this awesome interview about Bear’s book, his inspirations, and his life make sure to connect with him on the various different social platforms he is on. You can connect with Bear in the following places. Your book Deep in the Wave: A Surfing Guide to the Soul came out in July of 2012, what did it mean for you to be able to share your life’s experiences with a larger audience? The response from the readers is what astounded me. I was very vulnerable and transparent in what I wrote so as readers responded to me they felt comfortable sharing with me things in their lives few people knew. It allowed me to see the depth of spirituality and longing in people that might otherwise never have opened up to me or anyone. 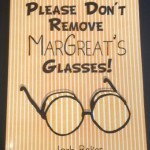 What made you want to share your experiences in the form of a book? exposed reef of their heart and let them plumb the depths of themselves and then hear God’s voice whispering to them, encouraging them, drawing them and nudging them into a deeper walk. What do you think people can take away from reading about your life and experiences? worst of all when there is no surf at all, that God is there with them as their faithful surf guide, patiently bringing them Deeper in the Wave and deeper into union with him. Personally, my favorite chapter of the book was “Wave of Healing”. Your encounter with the whale and the whole experience at Rincon was riveting. How did that humbling day in heavy surf change your perspective on life? That merciful place where all we can do is bend a knee before God, that place of humbling is where we most clearly see God and perhaps where see his gaze rest upon us. That place where no word other than “You” can come from our lips as we see him who sees us, only God can bring us to that place and perhaps through cooperation with his grace we can stay there Deep in the Wave. The way in which you weave stories of surfing and its trials into personal stories about your life and family is flawless. Are these two things as seamlessly joined as they seem when it comes to your life? Perhaps Teresa of Leseux learned much as she gazed upon a little flower. I learn everyday as a waterman an insight from God. That is my garden where “God walks with me” in the cool of the day. I sense his pleasure, his closeness and a great sense of adventure permeates my soul for his will is always the most radical adventure possible. So on top of holding multiple Masters World Tandem surfing titles, being a private pilot, having a black belt, and playing the ukulele. You are also a novitiate oblate of the Benedictine Monastery of Oahu. How do you find time to have so many passions in life? are empty people in a mad rush to fill emptiness with more emptiness. But true passion born out of the marrying of the desires God has places in our hearts with the gifts he has given us is a recipe for a full rich abundant life. I would say I am drawn or led but certainly n ot driven. I have learned that the time taken going to mass or in prayer is always returned tome, never a waste time. The same is true as I pursue the enjoyment of physical adventure. It also brings me life. These both invigorate and empower our souls. So for those who are production oriented who say “how can you find the time for this or that,” I just think “God has made you a human being not a human doing.” I learned in my ninja training that life is about balance. Being out of balance in a fight or in life is precarious. 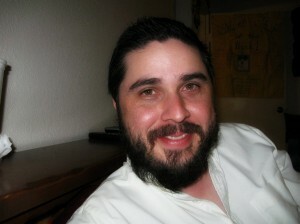 You update your blog www.BearsWave.com on a weekly basis, are active on Facebook and Twitter (@BearsWave), and have a weekly podcast. If any of our readers are looking for other ways to interact with you what would you suggest? Great things are happening in our Multi-media outreach. We are excited to be a part of Tampa Bay’s Catholic Christian Rock radio station SpiritFM905. People can download their smartphone app or listen on line to our “Deep in the Wave” four minute segment on Fridays at 5:35 East Coast Time. 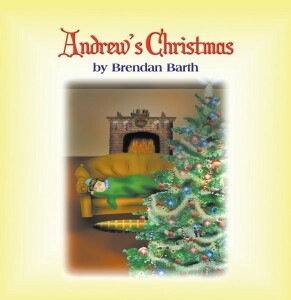 They can also listen in on BlogTalkRadio.Com/BearsWave too. We have all of our archived segments there. In April or May we will begin our new hour long BearsWave AdventureCast there as well. We are already in production for that. They will be able to chat with us live or even call in. I will talk story with adventurous people about their greatest experience and biggest wipeouts and then go deeper and discuss those same areas in their deeper personal life and will draw spiritual and life lessons from those. I am also on several episodes of TV’s Clean Break NBC’s Esquire TV channel (formerly G4). It is a reality adventure show where I serve as the mentor or a Big Kahuna to young men on adventure to find their hearts.. I want to offer DeepAdventure weeks out here in Hawaii too where we bring about ten men and their sons, if they have any who are old enough, out here to Hawaii for a week long Adventure where they have a chance to step out of their comfort zone in many ways and in the process go deeper with God and with each other. I could see filming this for an Spiritual/Adventure reality show on EWTN. 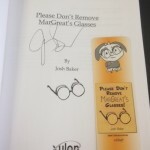 We will continue to produce more books and video of course. Mahalo for the chance to share this with your readers. 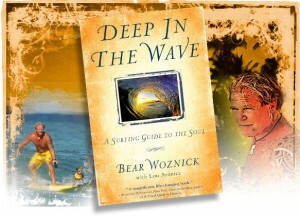 Make sure to check out the following Youtube video featuring Bear Woznick doing some tandem surfing and is also a trailer for his book Deep in the Wave. Really cool stuff! From 6th Century Irish legend to Mexican-American woman: John Desjarlais entertains, thrills, and intrigues. 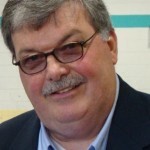 Mycatholicblog is honored to present our interview with this incredibly talented author, professor, and former radio producer. Let’s start at the beginning. Your first book The Throne of Tara, first published in 1990, is based-off the true story of Columba of Iona. What compelled you to write this story, and what kind of message are you hoping readers will take away from it? I began “Tara” soon after producing and scripting a documentary on the history of Western Christianity. During the research, I became fascinated by Irish monasticism and discovered Columba in particular. This was the best man the 6th Century could produce: a warrior, scholar and poet, gifted with Second Sight and a thunderous voice, a natural leader with a serious flaw – his Irish temper. He went to war over a book (a copy of the Latin Vulgate, most believe, that he copied by hand but lost in a court dispute to the owner of the original) and in the “Battle of the Book” in A.D. 560 nearly 3,000 men were slain. In remorse and in order to avoid excommunication, Columba exiled himself among the savage Picts of Scotland, vowing to win as many souls to the Church as were lost in the battle. The records say he encountered the Loch Ness monster on the way. Once in the royal court (which he entered miraculously), he dueled the Druids, miracles versus magic, in a contest of power. Well, all that said ‘great novel’ to me and I was off. As for the ‘take-away value,’ it’s hard to say. Writers with a message in mind often mess up a great story. There are some clear themes, though, such as the conflict between nascent Christianity and the Old Religion of the druids. Both respected nature and recognized power in the natural order but had a different understanding of where the power came from. 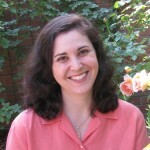 And what made you transition from a producer with Wisconsin Public Radio to college professor? 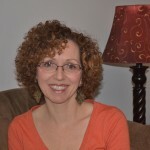 I was let go during the recession of 1993 and since I’d just published my second novel, “Relics,” and I was placing short fiction in magazines, I decided that earning a second Master’s degree in English or Creative Writing that enabled me to teach writing at the college level would be a wise career path. Funny thing is, given my media background, I also teach the mass communication courses at my community college, including Radio Production. Looking at more current literary achievements, your novel Bleeder tells of protagonist Reed Stubblefield, a professor who must face the challenges of physical disability, the loss of his wife and (as the story progresses) becoming a murder suspect. Why did you feel it necessary to portray a character that has faced so much suffering? How does it facilitate the character’s spirituality and religious perspective? One reviewer called BLEEDER ‘a novel-length contemplation of the mystery of undeserved suffering,’ and that captures it pretty well. Surely a traditional ‘mystery’ is about an unsolved crime and the restoration of justice, but I wanted to explore “higher mysteries” that we all think about: why is there evil and injustice in the world at all? Why do we endure undeserved suffering? Is it, in any way, ‘redemptive?’ What meaning can we draw from the suffering of Christ – exemplified in the stigmata of Father Ray – to comprehend our own? All mystery novels consider to some degree the problem of human grief, loss, and woundedness – but awfully few go beyond the solving-of-the-puzzle. The Catholic understanding of human frailty and fallenness, of human promise and potential, is very deep and profound, and something that moved me as I wrote the story as a devout Presbyterian. 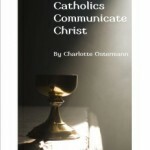 Soon after finishing the book I entered into full communion with the Catholic Church. My character Reed doesn’t. One of the things that makes so much “Christian fiction” sentimental and spiritually smarmy is the inevitable conversion at the end. 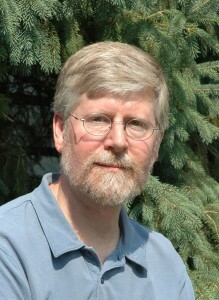 Reed, an Aristotle expert and logician, comes to recognize new possibilities beyond his secularized understanding of the world. He grows to respect people of faith as intelligent and winsome, and not as superficial or saccharine. One might say he is newly opened to the mysteries of faith, hope, and love, although much remains unresolved at the end. 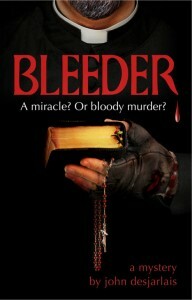 Along these same lines, with so many deep questions to ponder, why did you decide to write Bleeder as a mystery novel? 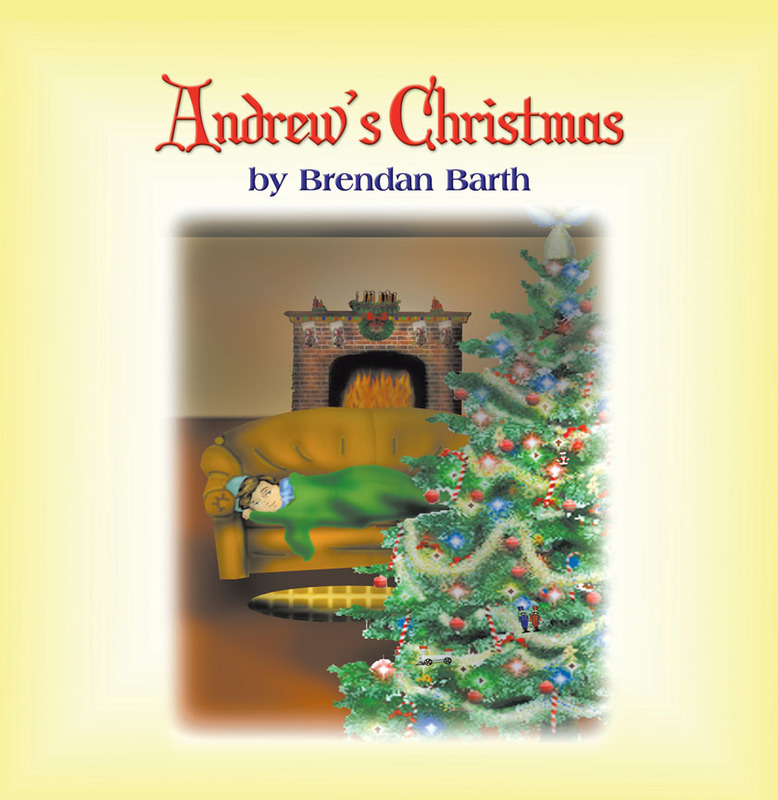 Mysteries – classic murder mysteries, I mean – connect with something deep inside us. They are the modern form of the medieval morality play, where the sleuth is Everyman who works against time, big money, a determined antagonist, daunting odds and his own flaws to expose evil and to restore the balance of justice. At the end, readers who identify with the successful hero or heroine feel a little better about the world and about themselves. A critic might say that mystery novels are escapist, since they offer a fantasy world in which justice prevails, right always wins over wrong, and love finds a way. But what’s wrong with that? That’s healing. I really think the ‘entertainment’ aspect comes first. This is why people read mysteries. However, mysteries are close to the barest human desires and fears, and because they deal so openly with death, they have a built-in opportunity to explore life’s higher mysteries, as I mentioned earlier. All literature tries to make meaning out of the frightfully short dash between our birth date and departure date on our tombstones, and the hardships during that short dash. So the ‘mystery novel’ is a perfect vehicle to consider the mystery of undeserved suffering and the problem of evil in a world created by a good God. What can you tell us about the inspiration for your newest novel, Viper? How did you create the character of Selena De La Cruz, and how do you write so convincingly as her? Was much research into the Mexican American community necessary? 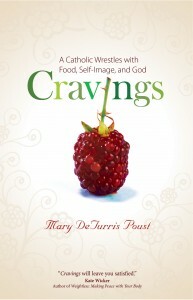 As a new Catholic, I was excited by observing all the new customs and practices I hadn’t known as a devout Protestant. One of them was the “Book of the Dead” on All Souls’ Day, where a ledger is placed in the church for relatives to record the names of loved ones who have passed away during the year so they can be remembered and prayed for. The mystery writer in me asked, “What if there were names in the book of people who weren’t dead yet? And what if they were killed one by one in the order in which they were listed? Who are they, and who would kill them and why? At about the same time I learned about the Mexican “Day of the Dead,” a festival celebrated at about the same time and blended with All Souls’ Day in Mexican-American culture. That’s when I knew my Mexican-American insurance agent minor character from BLEEDER, Selena De La Cruz, would be the protagonist in the sequel. And her name would be last on that list. Once she walked on the stage in BLEEDER in those cherry high heels, with that attitude and driving that vintage Dodge Charger, I knew she had a story of her own. It took me a little while to realize she had a former career with the DEA and she’d left it under a cloud and was trying to start her life over as an insurance agent in rural Illinois. It took off from there. And I was scared to death. How could I – an Anglo guy – presume to write the story of a Mexican-American woman? I feared the audacity of it and anticipated objections from the Latino community: “How can you, an Anglo man, tell our stories? And how can you, an Anglo man, represent a proud Latina? So for nearly two years I became a second-generation Mexican-American woman. I interviewed Latinas and visited social spaces online where Latin American women (Cuban, Puerto Rican, Guatemalan and so on, not just Mexican) talked about their life experiences. By dipping into so many other Latinas’ life experiences, I noticed things that were common to them all that I could easily adapt, and other things I could tweak and make my own – well, Selena’s own. I built a very thorough backstory – life story – for her based on all this research. I had pages of notes and stacks of cards that I browsed through repeatedly to remind myself of small details that were of possible use as ‘bits’ in the story or for possible flashback scenes. In these ways I was able to construct an authentic Mexican-American woman with a real family and real-life inner conflicts most Latinas could identify with – not a ‘composite’ but a unique and genuine person. A Latina translator helped me with the Spanish phrasing and reviewed the work-in-progress, and at one point she told me, “I am SO into Selena!” That’s when I knew I was getting it right – down to the 3-inch heel faux leopard Giuseppe Zanottis. Finally, what else can we expect from John Desjarlais in the upcoming year? I’m gathering material for the third book in this series and it’s all vague at this point. 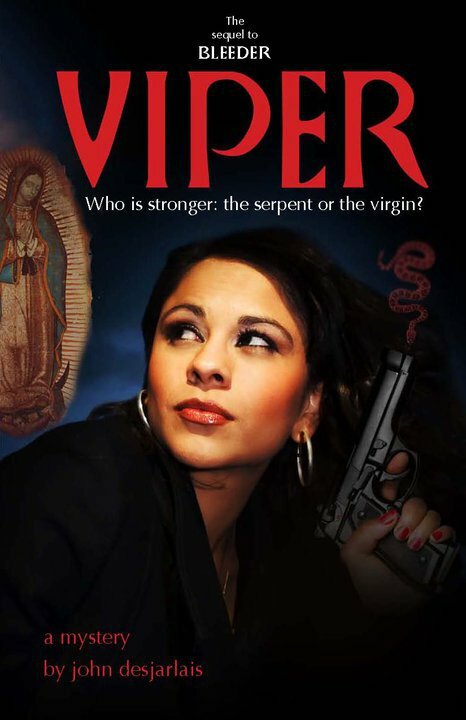 Insofar as VIPER considered Selena’s relationship with her mother in some detail (to correspond to her developing relationship to Our Lady of Guadalupe), I think the third book needs to consider her troubled past with her father, a former PEMEX executive who suddenly moved to Chicago to take a position with the Mexican Consulate there shortly before he died under questionable circumstances. I expect Selena will have to investigate and resolve all this before she can move ahead in her life. Is it possible to pass on any wisdom from her that has affected me? That would include everything she’s done or said or written to me. That could take quite some time! 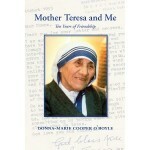 But very briefly, Mother Teresa was a woman of deep prayer and radical love. She lived to satiate the thirst of Jesus on the Cross. She lived the gospel of Matthew 24: 31-46, that whatever we do to others, we do to Jesus. She took this quite literally as we should too, as Christians. Re-focusing a bit on Prayerfully Expecting, the book undertakes a unique perspective and finds an impressive balance between a religious and secular world. 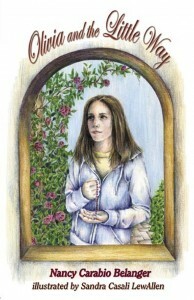 How did you come up with the idea of drawing a parallel between pregnancy and a novena? During a very complicated pregnancy with my daughter Mary-Catherine, I was required to be on complete bed-rest to preserve the life of my unborn baby. It was during that blessed time that the inspiration came to me to write about a pregnancy as a novena of living prayer to God. 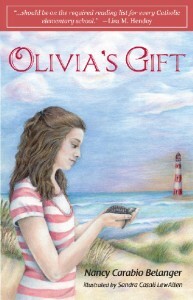 It all came to me as a powerful inspiration as I prayed and stayed put to save my baby’s life. It was many years later that the book was published and I was very blessed to receive Blessed Mother Teresa’s foreword which graces the beginning of my book. 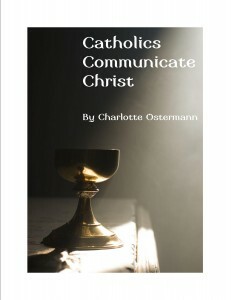 In A Catholic Woman’s Book of Prayers, you write about all the ‘mixed messages’ women face today that may ‘distract’ them from fully realizing God’s divine love. Besides prayers, what would you suggest as one pro-active step women can take to better connect with their spirituality? To offer our days to God first thing in the morning and then all throughout the day, raise our hearts to Him in prayer, asking for His help and guidance. Turning to our Blessed Mother, through praying the Rosary and even in short aspirations to her, asking for help and guidance to aid us on our journey as a Catholic woman will help a great deal. Taking time to pause and ponder throughout our busy days will help us to be mindful of our sacred responsibilities. Turning away from the culture and all of the negativity and evil it offers through television, the Internet, and advertizing can help us focus on the Sacred rather than the secular. Surrounding ourselves with like-minded Christians for support, as well as choosing reading and media material that will help nurture us as Catholic women can help to keep us inspired. It’s also wonderful when possible, to gather together with other Catholic women in study groups to learn more about and share the Faith. anticipate this much success or notoriety? What does it mean to you to reach such milestones? I don’t look at any of it as “success.” I consider it all as blessings – blessings that are meant to be shared with others. I was very honored to be chosen by the Holy See for the participation at the international congress for women and I certainly counted my blessings, all the while knowing that it was also a huge responsibility. I tried to be a “sponge” while there so I could take it all in and bring it back to share. 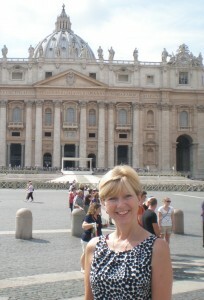 Congratulations on the success of your show, “Everyday Blessings for Catholic Moms”! What inspired you to transition into television, and what is the main objective you hope the show achieves? Thank you very much for your words of congratulations. “Everyday Blessings for Catholic Moms” was born because I really felt there should be a series for Catholic moms filled with inspiration and tips to aid them through their everyday joys and challenges as they trudge their way through their “domestic church,” working out their salvation. I think that hearing a friendly and encouraging voice from one who has been there in the trenches of motherhood is many times all a weary mother may need to help in her own faith journey. When I proposed the idea of the show to Doug Keck and Peter Gagnon at EWTN, they were very open and supportive. They knew me and my work as a Catholic author and that I was on several EWTN shows already. I am very thankful to them for the opportunity. my series and told me that he’s inspired to learn more about Catholicism because of the show. God is so good! 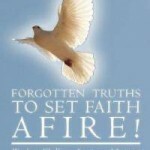 We need to use the media for good to help counteract the bad by bringing the Truth to others. 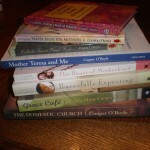 And finally, what is next for Donna-Marie Cooper O’Boyle? Thank you for your interview. May God bless you and yours!